At 60East, we’re constantly being asked to evaluate new technologies in high-performance computing. AMPS tests these technologies to their limits. 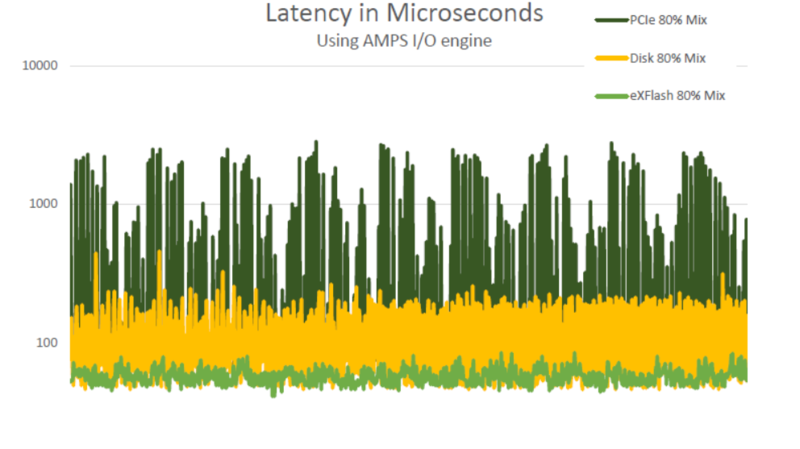 AMPS applications require predictable latency at high messaging volumes: for most applications that use AMPS, the limits of the storage or networking system are what limits the capacity of the application. In particular, storage performance matters. Our customers record and replay enormous volumes of data every second of every day. 60East is always looking for the next breakthrough. We’ve been interested in Memory Channel Storage™ from Diablo Technologies, Inc. for quite some time. This technology is now available in eXFlash DIMMs from Lenovo®. Our new whitepaper describes our work benchmarking the new eXFlash DIMMs with the AMPS storage engine. Want to keep informed about all of the cool new things we’re working on and the new technology we’re testing? Subscribe to the 60East newsletter and get the latest from 60East!